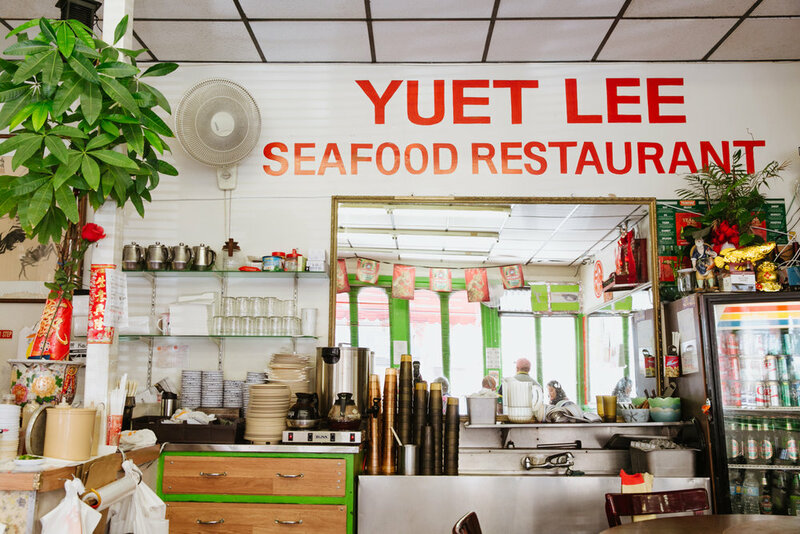 Yuet Lee is a good place for locals who are for the charms of a Chinatown restaurant. 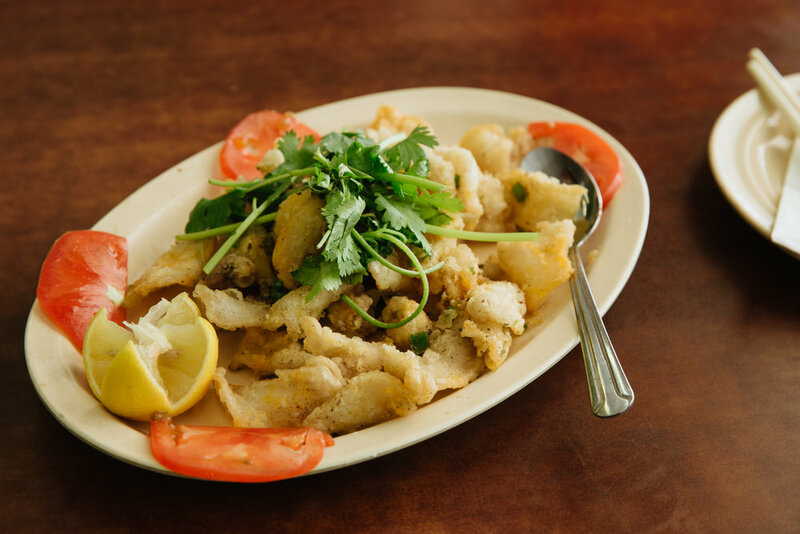 It has a bright green exterior, a window-lined wall that looks out to the buzzy Broadway Street and live fish and crab tanks humming in the background. Sam Yuen, the owner, told us about how his father spotted the corner location two years before Sam immigrated to the States. 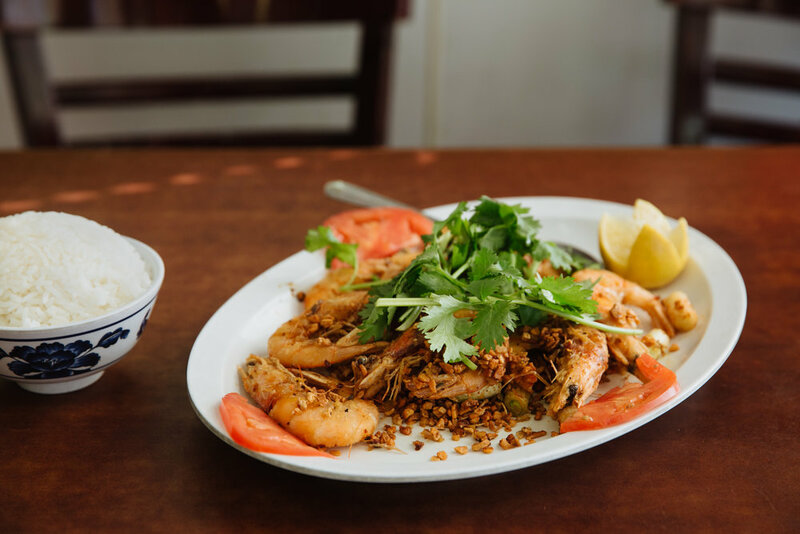 When he arrived from Hong Kong at 18, his father told him “You have to do it.” He bought the existing restaurant, changed the menu and employed his parents and siblings as cooks and servers. As a tribute to his family, he named the restaurant after his parents surnames -- his father (Yuet) and his mother (Lee). 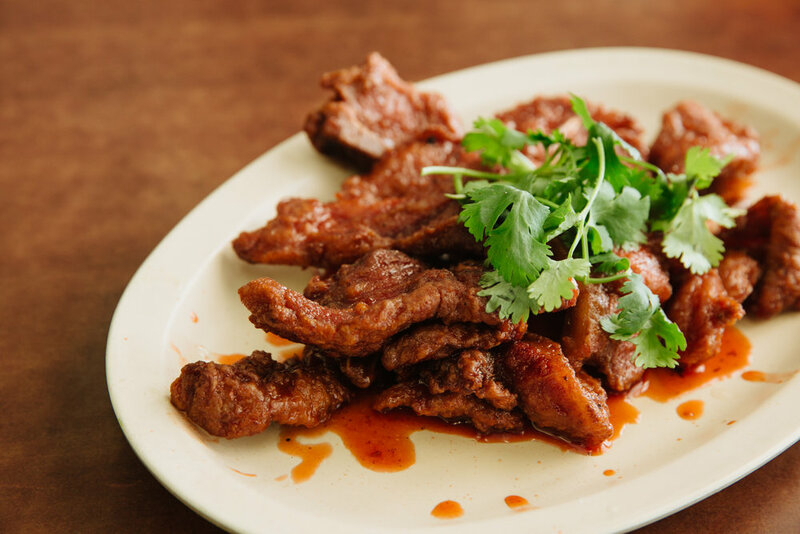 Lastly, Yuet Lee is a solid late-night spot, open till midnight on the weekdays and 3am on the weekends -- a good place to go after hitting up bars on Broadway Street.